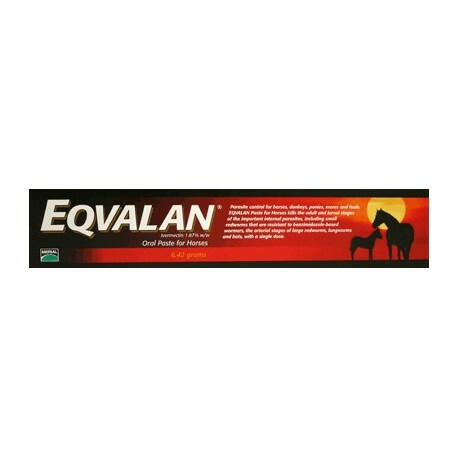 EqvalanÃ‚Â has the naturally derived Ivermectin as its active ingredient. There is no known resistance even though over 200 million doses have been used since it was launched. EqvalanÃ‚Â has the naturally derived Ivermectin as its active ingredient. There is no known resistance even though over 200 million doses have been used since it was launched. 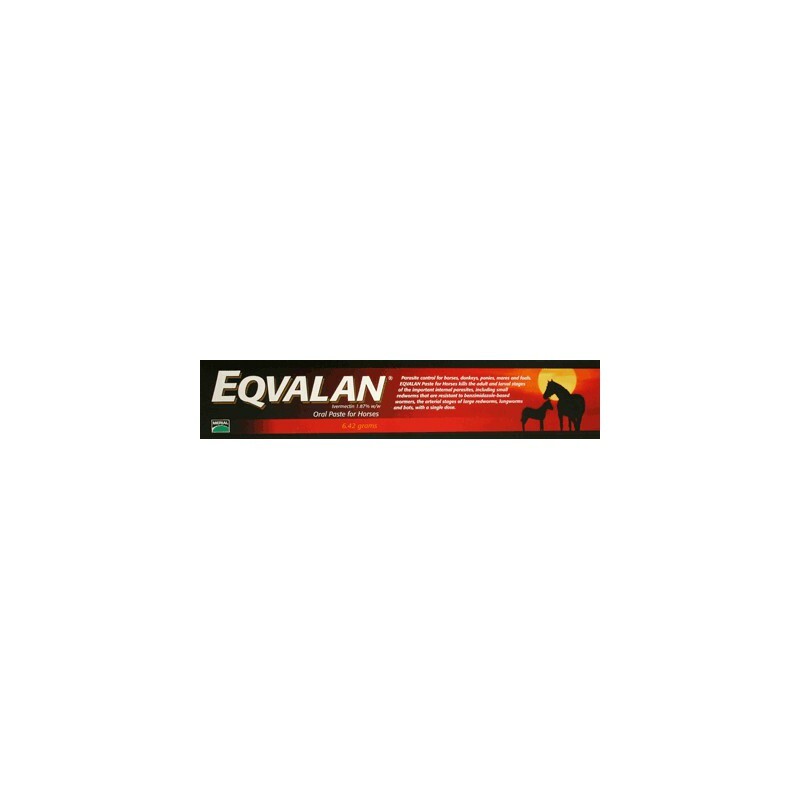 Eqvalan kills more types of worms than any other wormer including large redworms, small redworms, pinworms, large roundworms, threadworms, hairworms and many other parasites including bots. Its weakness is that it is ineffective against tapeworms.Ã‚Â It comes in syringe form and 1 syringe will treat up to 600KG bodyweight. Foals should be treated initially at 6 to 8 weeks of age and then every 8 weeks until they are 18 months old. Older horses should be treated every 8 to 10 weeks.